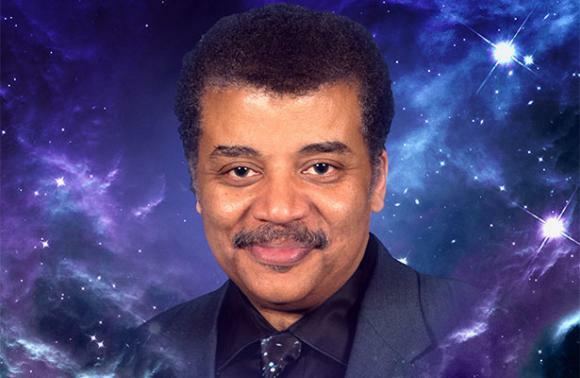 Beloved scientist and expert on all things cosmological, Neil deGrasse Tyson comes to Paramount Theatre Seattle on Monday 26th November 2018! The fascinating scientist, best-selling author, director of the Hayden Planetarium and host of Cosmos: A Spacetime Odyssey will be delving into the wonderful world of astrophysics, answering audience questions and exploring the expanse of time and space in the quest for understanding! American astrophysicist, author, and science communicator Neil DeGrasse Tyson first came to public attention in 1995 when he began writing the "Universe" column for Natural History magazine, which he wrote until 2005. Many of these monthly essays appear in his books Death by Black Hole (2007) and Astrophysics for People in a Hurry (2017). During this period, Tyson also wrote a monthly column in Star Date magazine, answering questions about the universe under the pen name "Merlin". Material from this column was published in his books Merlin's Tour of the Universe (1998) and Just Visiting This Planet (1998). In 2001, he was appointed by the US government as a member of the 12-member commission to study the Future of the US Aerospace Industry, and he also served on the 2004 Moon, Mars and Beyond commission. That year he was awarded the NASA Distinguished Public Service Medal. From 2006 to 2011, he hosted the television show NOVA ScienceNow on PBS and he began hosting the weekly podcast StarTalk in 2009. In 2015, Nation Geographic began airing a television spin-off of the podcast, also called Star Talk and that year he was also awarded the Public Welfare Medal by the US National Academy of Sciences for his "extraordinary role in exciting the public about the wonders of science". . In 2014, Tyson became the host of Cosmos: A Spacetime Odyssey, a follow-up to the 1980 Carl Sagan series Cosmos: A Personal Voyage.